The Karamolengos family started dealing with winemaking in 1952, following traditional methods in the family wine cellar in Exo Gonia. In 2004, Artemis Karamolengos set up a state-of-the art winery with specially arranged spaces for the processing, maturation and bottling of wines produced from grapes of the family vineyards. 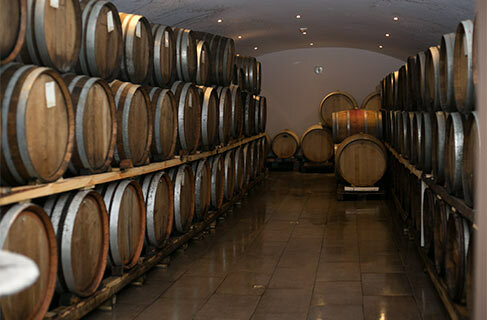 In the wine tasting hall you can try awarded wines, such as the Assyrtiko, the Mavrotragano and the vintage wine Vinsanto that is left to mature in oak barrels for 60 months. Tip: Enjoy Mediterranean tastes at the restaurant Aroma Avlis located in the winery’s yard.